Of all the studding I've seen in the past few seasons I feel Versace has done it best. White leather with gold studs, or really just white and gold in general boarders on such a thin line between trashy and classy. Maybe it really comes down to the wearer more then the garment. 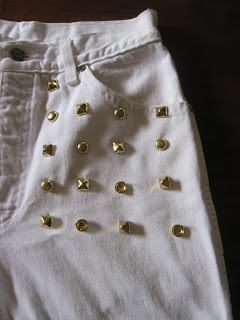 Either way I'd probably kill for the dress in the last photo of my Studded Inspiration post. Back to the short though, these shorts are my ode to that Versace dress. Hopefully they fall on the classy side of the line or at least trashy in a cool 90's grunge kinda way. Tutorial below. 2. 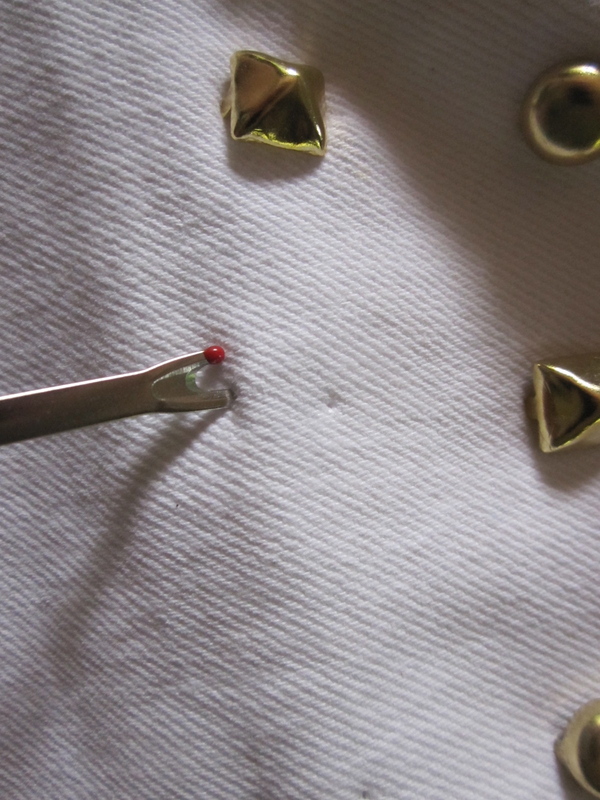 Starting in the top left corner, gently push the stud into our material to create to small indents from the prongs. 3. Use your stitch ripper to create to small holes in place of the indents you just created. 4. Place the stud into the holes. 5. Looking at the back side of the material use the pliers the flatten each prong down so it is flush with the material. 6. 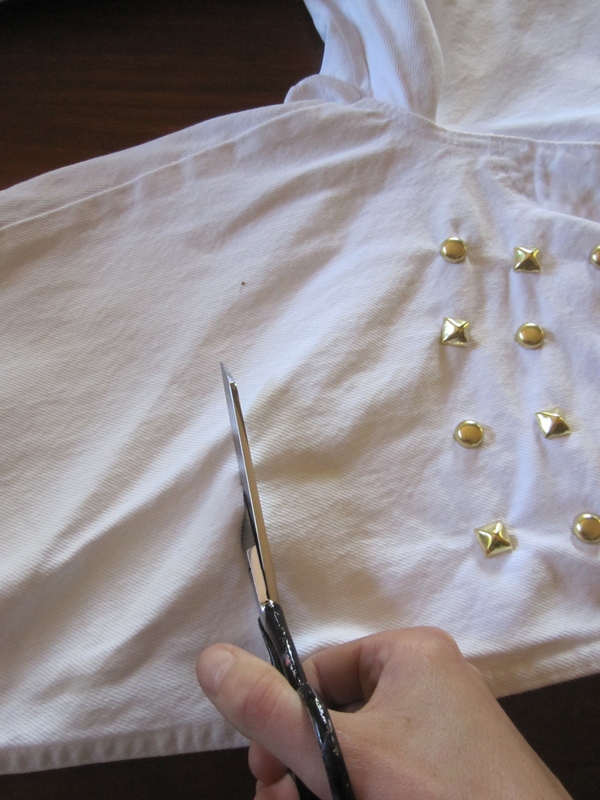 Repeat steps 3, 4, and 5 until all of your studs are in place. 8. if you wish for a cuff as shown, fold your bottom of the shorts of twice. If you want a frayed pair of cut offs, put the short through a complete washer and dryer cycle and they will come out nicely frayed. Love your shorts, last time I tried this I stuffed it up completely!